THESE days there are so many “don’ts” and “can’ts” – things that can’t be written; names that can’t be named; words that can’t be spoken. We are also fast approaching the situation where thoughts can’t be thought. It is difficult for a pusillanimous scribe like me. (Okay, I am being pompous, in plain language it means cowardly writer). As a columnist I am obliged to foist my two-sen worth of something on the readership. So how? Well, this week I am reduced to retelling an old story and perhaps giving it a contemporary bend. The story ‘The Emperor’s New Clothes’ by Hans Christian Andersen (1805 to 1875) tells of the vain emperor who was conned by a couple of swindlers into believing that they could weave him new clothes, which were made from the finest material imaginable. On top of that this new robe would have the amazing property that it was to be invisible to anyone who was incompetent or stupid. So cometh that day, the emperor stood naked in the city square, stripped of all his dignity. The applause from the sycophants and his chosen acolytes was thunderous. Meanwhile two little boys in their innocence spoke the truth. “Hey,” they shouted, “the emperor has no clothes. The emperor is naked.” Whereupon the emperor turned his baleful eyes on them and like the evil Queen in ‘Alice In Wonderland’ and shouted “Off with their heads!” The little boys were not spared and anyone who stood up for them were given similar treatment. So, the people trembled in fear. They were transformed into the three monkeys. You know, the ones who see no evil, hear no evil and speak no evil. Bye and bye, an elephant (or was it a hippo) ambled into the room and dropped dead. The stench was overpowering and got more so as the days went by. Still the three monkeys saw nothing, heard nothing and said nothing. The kingdom was shorn of integrity and dignity. It seemed a thick dark cloud hung over it and obliterated even the brightest star in the sky. Aw, so sad indeed. Cue sad music, perhaps Chopin’s ‘Funeral March’. Okay, enough of the melancholy, let’s end the story and switch to reality. The night sky maybe obscured by impenetrable clouds and it seems impossible to imagine that the stars exist … but they do, shinning as before. The stars are always there, even in the daytime. Sometimes we just can’t see them. Let me just point out some of them. Then I read a posting on Facebook by Syed Azmi, who describes himself as, “A pharmacist by day and a social causes advocate by night.” He was asking for crowdfunding for a Lim Kim Sung, an 80-year-old Chinese, who suffers from filariasis (elephantiasis). Azmi told the story of how this Chinese man was struggling alone with life’s hardship and a young Malay girl, Shirin Aziha, whom he has known since she was 10 years old. Shirin used to live in the same neighbourhood as the old man where he peddled recycled boxes. Even with his foot ailment, he still did this day in day out. He also sold drinks and colouring books at the neighbourhood bazaar. Shirin at that young age used to help the uncle to cross the road to his house whenever she could and this developed into a good friendship between the uncle, his wife and her. Lim’s wife passed away three years ago. He has no children of his own and loves Shirin like a daughter. Shirin, who is now 27, lives in Kuala Lumpur where she works but as often as she can she would go back to Penang to see this uncle. During her visits she would give him an angpow. But without fail Lim would give her an angpow because she is like a daughter to him. The crowdfunding yielded RM8,000 within 24 hours of Syed Azmi’s Facebook posting and part of the funds was used to buy a remote-controlled hospital bed. Also Lim no longer has to cross the busy junction to get to Penang Hospital thanks to the nurses hired by Shirin to help him with his wound dressing and other daily chores at his Jalan Gopeng home. At this moment of gloom when it seems we as a nation have been shamed internationally, many posted, “I am ashamed as a Malaysian” and cried out, “Where is integrity?” Well, it is here and all around. 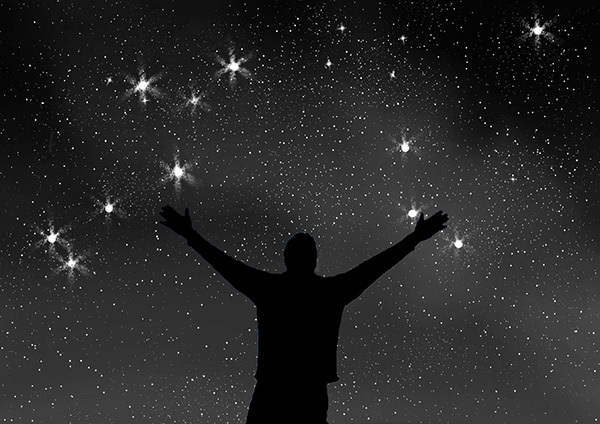 Like the stars, which are obscured by the dark clouds, integrity and kindness are alive and well. So take heart, it is just a passing phase of history.